‘Gin is so much fun’, says David Boyd-Armstrong of Shortcross distillery. He and his wife Fiona are part of a new generation of craft producers that are redefining Irish gin. Sales of gin are booming. Once the preserve of the older G&T brigade, the surge of interest in cocktails has seen gin become one of the most fashionable spirits of all. The worldwide increase in interest is not just down to mixologists creating complex new cocktails. Gin and tonic is very trendy. Bombay Sapphire and Hendrick’s started the trend a decade or more ago, but since then a host of new craft gin producers have sprung up in the US, Britain and elsewhere. Now a number of bespoke Irish gins are being produced in small distilleries around the country. Some go foraging in the countryside for herbs and roots to flavour their gin while others use spices imported from across the globe. The Dingle Distillery was founded by Oliver Hughes, one of the men behind the Porterhouse bars. As with craft beers, he was ahead of the game, looking for somewhere to create his own whiskey, vodka and gin. I tasted trial batches with Hughes and his colleague in their brewery in west Dublin five years ago. With the Porterhouse bars to supply, Dingle gin was never going to be short of customers. The Shortcross distillery is located in the historic Rademon estate near Crossgar in Co Down. Water is drawn from a deep well on the estate. Everything in the small distillery is done by hand, right down to painstakingly sealing each bottle with wax and signing each label before sticking it on. In addition to importing juniper and other spices, they forage in the estate for botanicals, including apples from the orchard, wild clover, elderberries and elderflowers. 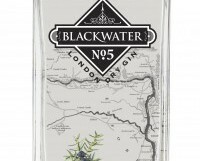 This, Boyd-Armstrong believes, gives their gin a unique aromatic hint of meadows. “We wanted to create a floral uplift, something uniquely Irish,” he says. They have a beautiful 450 litre copper pot still produced to their specifications by a family of German makers. When I visited, the still was perfumed with juniper and spices from the last distillation. They launched last April in the restaurants Ox and James Street South, in Belfast. Peter Mulryan wrote books and produced TV programmes about spirits, mainly whiskey, before starting his own enterprise in Cappoquin. He has been going for less than a month now, but is relishing the challenge. “Gin is a drink of empire. The Dutch and the British invented it, so we don’t go heavily on the Irish thing,” he says. There are other Irish gins available. Glendalough releases seasonal spirits based on wild flowers and herbs foraged locally, and seaweed beauty specialist Voya is experimenting with seaweed-flavoured gin. Fever Tree seems to be the preferred tonic water, although each producer assured me that his or her gin would go very nicely with market leader Schweppes. Your gin and tonic however, will taste very different. A complex gin with juniper, lemon and a lovely earthy warm spicy element coming through on the finish. Very different to the Shortcross below with much more musk and spice. Wonderful gin with lightly floral aromas and a subtle fruitiness alongside the juniper. Lingers beautifully. Very nicely textured with juniper on the front palate with lively citrus and orange peel.